If you want to make an order, please, do it using our site, it's the fastest and the most convenient way, our manager will contact you within 48 hours, invoice and provide you with all details. If you want to add something to a placed order, have some questions, need a consultation, a piece of advice or some additional information about the products you can send a request to our e-mail: info@neopoi.com or by filling out the feedback form. Company location: 109316 Russia, Moscow, Volgogradsky prospekt 47, The "Cube" business center. 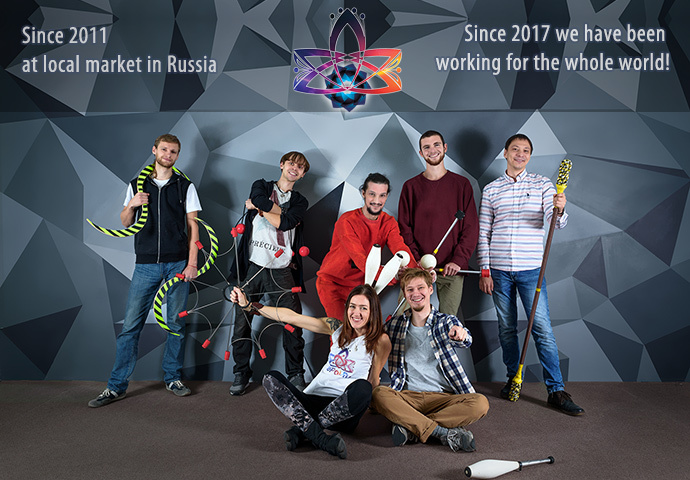 *In photo: our main team, also many thanks to people who supported us: programmers, theatres, artists, engineers, performers, freelancers and etc.